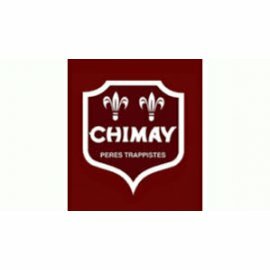 Since 1862 the monks of Chimay have been brewing their first brew “Chimay Première” according to the monastic tradition of natural brewing. These monks are members of the Order of the Cistercians of the Strict Observance. In 1948, Father Theodore isolates the unique yeast cells that today still form the base for brewing the Chimay beers and creates the Chimay Red in a 33cl bottle. Around Christmas 1948, the first Christmas beer is created. This will later become Chimay Bleue. In 1966 there was the creation of the white cap or Chimay Tripel beer. 16 years later, in 1982 the Chimay Grand Reserve was created. 4 years after that cam Chimay Cinq Cents. The most recent beer, Chimay Triple on draught, was created in 2001.